Disclaimer: This car is not stock. 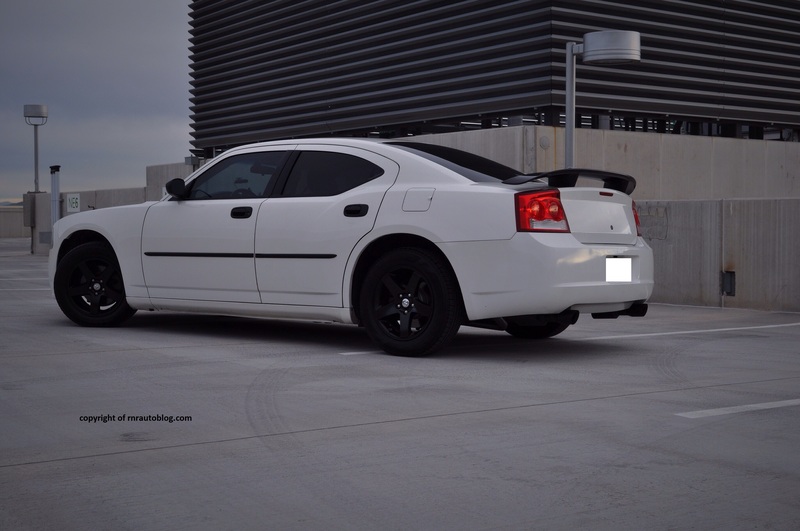 Upgrades include rear spoiler, powder coated wheels, black plastidip door handles and door bumpers. 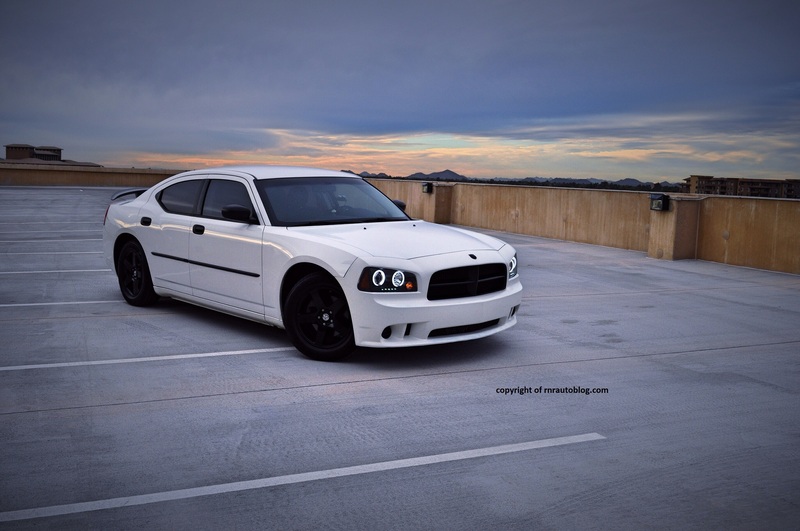 black front grill, SRT bumper, CCFL Halo headlights, and Flow Master 40 Series exhaust. This Charger is rental car spec, meaning it comes with a 2.7 liter V6 not included in the non fleet Chargers. You wouldn’t believe it from looking at this car, but its history goes way back to late 1960’s. The first generation debuted in 1966 as a version of the Coronet. It wasn’t until the next generation in 1968-1970 that the Charger name garnered fame. Showcasing distinct styling cues such as the “coke bottle” styling (the side looked like the side of a coke bottle) and the menacing grille with hidden headlights, not to mention it had the power to match its aggressive looks, the sales took off. This generation became the most famous Charger of all time, helped by its appearances in Fast and Furious series, Dukes of Hazzard, and Bullitt. When you think of a classic Charger, you think of this generation. Sadly, this iteration was the Charger’s peak. As the years passed, the Charger transformed from an iconic muscle car to a front wheel drive hatchback in the 1980s. It wasn’t until 2006 that Dodge had the courage to revive the Charger name. For the first time, the Charger was a four door sedan. The Charger and its twin, the Chrysler 300, were built off the platform of Mercedes E Class, promising better refinement and driving performance than what is normally expected of Chrysler and Dodge vehicles.